Quick summary: In this tuning in activity students are asked to think about what they already know of climate change and to use this knowledge to make predictions about what will happen to our environment in the future. Students begin by identifying environmental problems that they know about and want to know about. Working collaboratively, students will then identify their top 10 environmental problems and will speculate on how different the environment of 2200 will be to the environment of today. Finally students are asked to create a timeline of environmental change for the future. Students identify their existing knowledge around climate change and major environmental issues. Students make predictions about environmental change. Syllabus Outcomes: SC4-11PW, SC5-13ES, SC5-12ES. Resources required: Internet access, student worksheet, Y-chart (download and print or ask students to create their own), materials for creating timeline (drawing materials or online tools such as Capzles). Key reading from We Are the Weather Makers: Introduction – What is climate change? 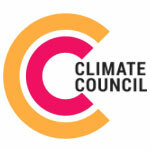 Keywords: Climate change, environment, future, predictions. Overarching learning goal: Students participating in this activity are able to identify their existing knowledge around climate change and major environmental issues and are able to make predictions about environmental change. In addition, this image shows possible climate change impacts around Australia and this website allows you to experiment with different climate futures. Step 1. Begin by asking students to read the We Are the Weather Maker quotes and complete the table (available on the Student Worksheet): 4 things I already know about the environmental problems confronting Planet Earth and 4 things I want to know about the environmental problems confronting Planet Earth. Thought starter: What is inter-generational equity? Part 2. Using this Y-chart (or create your own), work in pairs to detail what the environment around you looks like, feels like and sounds like at the moment. Include information about your local community and the town/city you live in or that is closest to you.